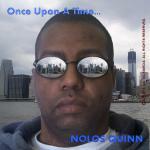 Sign up for Broadjam today to follow Nolos Quinn, and be notified when they upload new stuff or update their news! The song and music video tells one of the stories in the big city. The single and video is the second release off the soundtrack from the film, 'The Origin Of Things: EVA DARKEST', currently in production. Written, Produced, Directed and Animated by Nolos Quinn.